In today’s economic climate your business decisions are as crucial as ever. 2nd World Congress on Pharmacology & Chemistry of Natural Compounds allows you to maximize your time and marketing dollars while receiving immediate feedback on your new products and services. 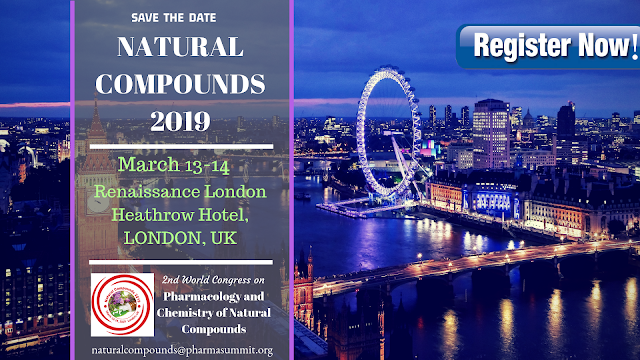 2nd World Congress on Pharmacology & Chemistry of Natural Compounds is organizing an outstanding Scientific Exhibition/Program and anticipates the world’s leading experts were involved.